The last morning, I woke up to pain in my lower back. To say I was scared to go all the way down with the 15kg backpack, would be an understatement. I was terrified. I spoke to the course coordinator, who told me to apply mind over matter. Although I was freaking, I had to get down, so I took the first step. And I fell! The snow had become slippery with the sun shining bright. I got up and started walking again. Within an hour of walking, the mind had accepted that there is no choice. This was followed by an adrenaline rush to run down. The trek that took us 4 days to reach base camp, was to be completed in 2 days on the way down. Basecamp to Dzongri was tough as it had ascent and descent alternating across different types of terrains. Dzongri to Tshoka was a breeze. The spiral upward chasm was not a downward slope followed by the beautiful trail lined by Rhododendrons. I was with the first group, literally running down with my bag! I was excited to be back in an area which had network and announced my return to everyone at home 🙂 Oh the high of coming down was something else. The next day we completed the final leg from Tshoka to Yuksom. I chose to drive back to HMI campus with the students from overseas. They have to travel via the border check post which is not applicable for Indians. This route is longer, roads are better though. We reached 3 hours after the rest of the batch, which meant the shower was free for me to go! Oh the pleasures of civilization…they have to be experienced to be described. Taking a shower after 2 weeks, felt like I was savouring a Blue Berry Cheesecake after being on Keto for 3 months! And dinner today was served at 8p.m. We were allowed to stay awake till 9p.m.! It was these small things that made us so happy. 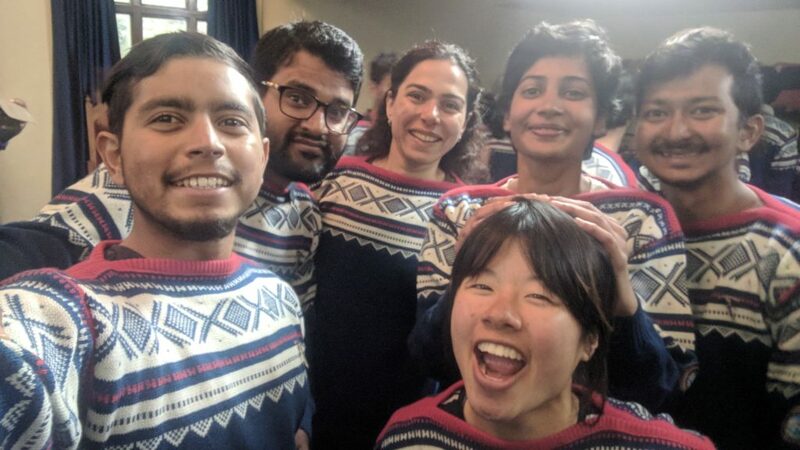 And since the batch experienced this together, I have made friends for life. Well this high was not to last long, there was a rumour of a surprise test in the morning. So we got into our bunk beds to revise our notes. My room mates were up at 4a.m. and refused to let me sleep! So I buried my closed eyes in my notes. The rumour turned out to be real. We had a test at 8a.m. The last minute cramming helped. With that the course was technically over. The rest of the day and the next involved returning of equipment and getting clearances from the Quarter master, the Library, the Equipment Section. We had a practical session on how to make a stretcher with a rope and a rock climbing competition in the indoor wall. A feedback session was held with the Principal Wng. Commander Devidutta Panda. He wanted insights on every aspect of the course, the food, the training, the quality of equipment, suggestions for change. It was time to introspect and relive the 27 days in a flash. The afternoon brought the graduation ceremony. 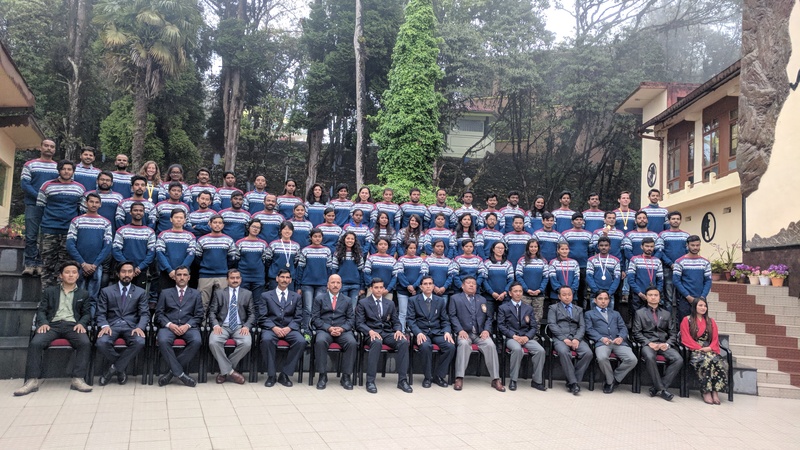 As I stood with my batch mates for the group picture, overlooking the massive HMI Board, it was hard to believe that I had accomplished something I had dreamed of doing since 2 years. We received our certificates the next morning. 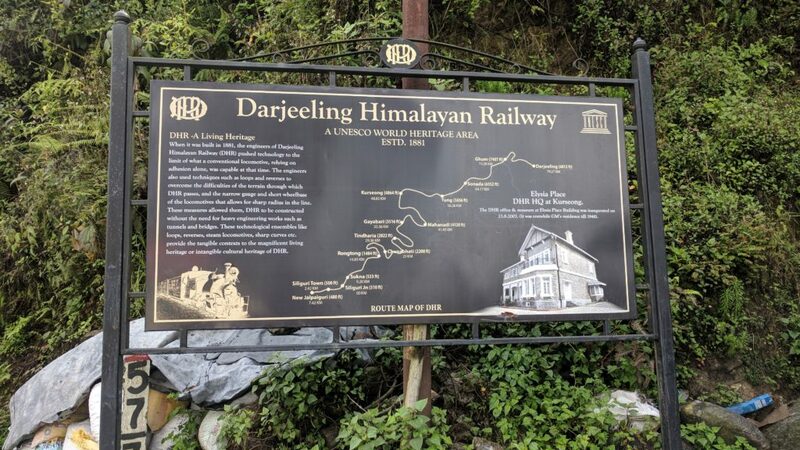 We were super excited to explore Darjeeling before we parted ways. 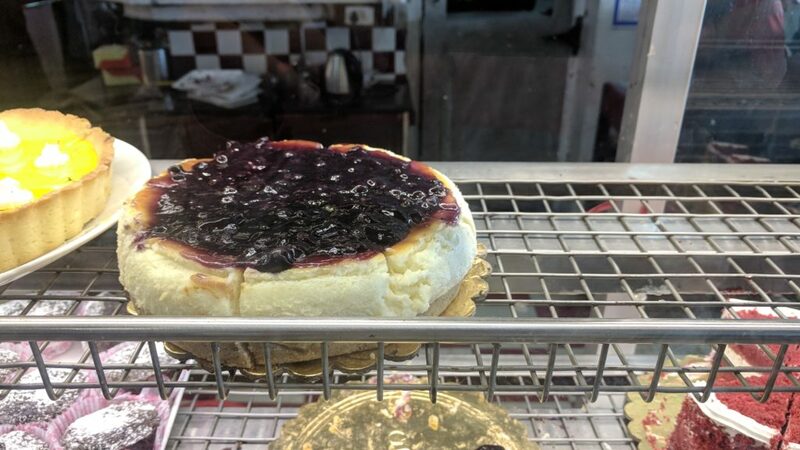 Keerthana, my roommate and I started with Blueberry Cheesecake at Glenary’s. Overlooking the mountain town, feasting on a pastry after all the physical workout felt well rewarded. There is tea a-plenty in Darjeeling. 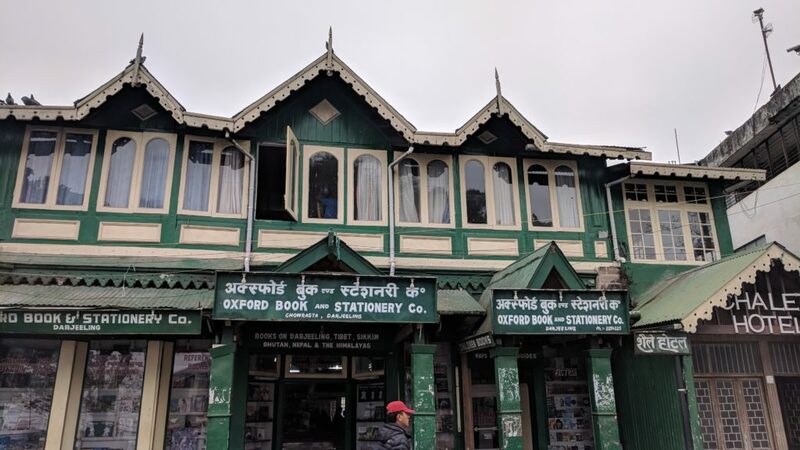 I visited the Oxford Bookstore at Chowrasta and bought some books specific to the region. 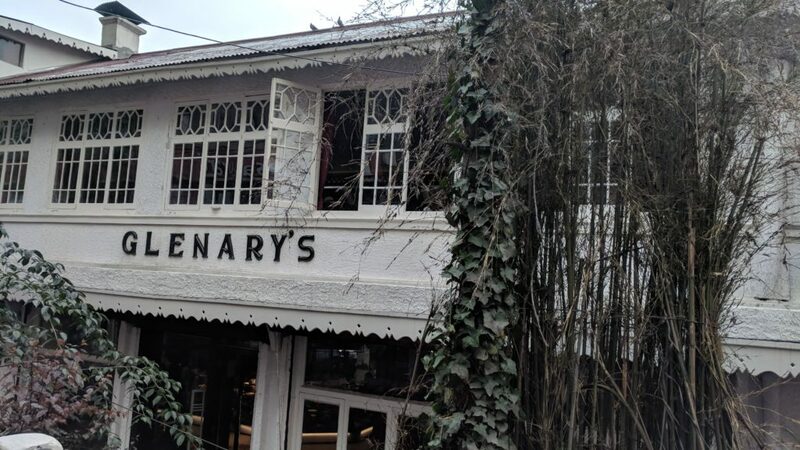 I was keen on buying Rhododendron wine, however, that is available in Sikkim or enroute the Sandakphu trek. Bidding adieu to friends, I headed to Sterling resorts in Ghum, my hotel for the night. 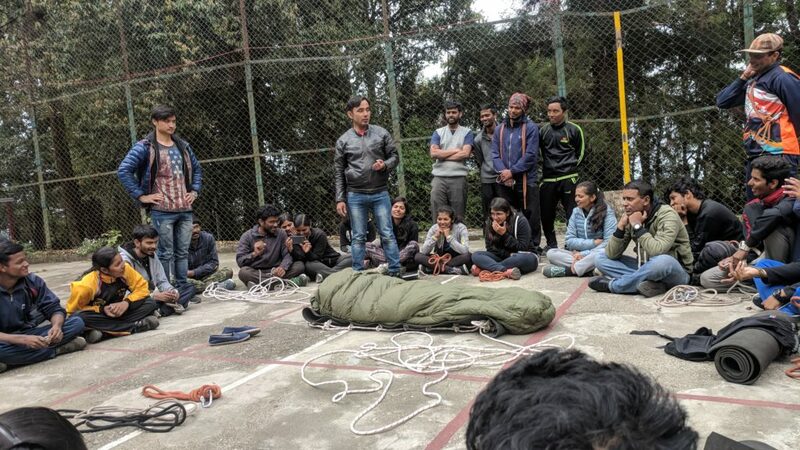 Some friends were on their way to Northeast, some were staying back in Darjeeling while some of us were heading back home. The drive from Darjeeling to Ghum to Bagdogra Airport is beautiful. 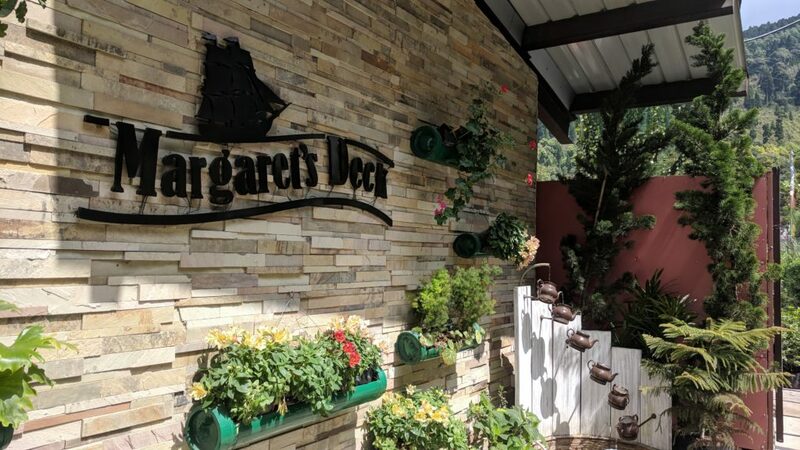 I stopped at Margaret’s Deck, a boutique tea café. As we were driving lower towards the plains, I removed my jacket and felt the warmth. I wasn’t complaining this time! The song Mere Sapno Ki Rani from the movie Aradhana was shot along this road. I passed picturesque railway stations and I knew I had to come back to the mountains. It has been a month since I came back. Apart from the visible sun tan, my body went through changes I did not expect. My fingers and toes were swollen for 2 weeks after my return. My running speed improved and my stamina was better than before. A 3km uphill run that took me 33 minutes before I left was completed in 26 minutes on my return. I still don’t know if I want to be a mountaineer. I think of it as a journey, a journey to keep myself fit, to live consciously, to love nature.